This is particularly onerous for chipmakers, which face a high bar for IC integrity and reliability. They must meet specifications and be free of design errors. Improper behavior in corner-case scenarios can endanger driver, passengers, and others nearby. Pre-silicon verification alone is not enough. Automotive electronics also must provide functional safely in the field, even in the presence of random errors. The ISO 26262 standard mandates that safety logic must be added and its effectiveness fully understood. From a technical perspective, automotive SoCs have three major requirements: quality, reliability and functional safety. Quality starts with the robustness of the foundry process, which includes such factors as process variation, defect density, electromigration, ESD, aging and thermal fatigue, according Tom Wong, director of marketing, design IP at Cadence. Reliability is related to the lifecycle of the SoC and manifests itself in infant mortality, useful life, aging and wear outs. Functional safety relates to meeting ISO 26262 requirements, including safety goals, safety SoC architecture, safety verification and FMEDA analysis. Functional safety is of the utmost importance in the development of safety-critical automotive systems, especially with the introduction of advanced driver assistance systems (ADAS) and automated driving systems (ADS). ISO 26262, Functional Safety – Road Vehicles specifications emerged in 2011 as the go-to standard for functional safety for automotive systems. ISO 26262:2011 is generally adopted by semiconductor (SoC) and IP vendors as the baseline for automotive functional safety compliance. It is currently available as the draft second edition (ISO 26262:2018) and officially covers semiconductor developments by providing a specific guideline for a proper interpretation of all normative parts. 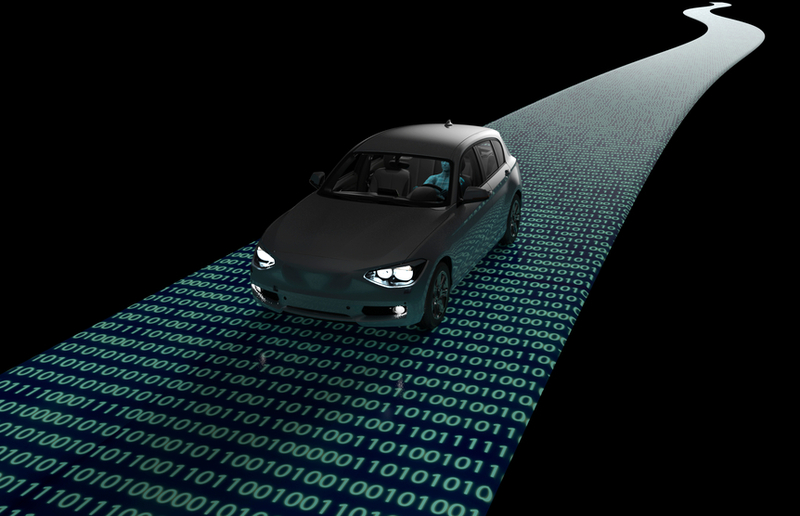 However, for many semiconductor and IP suppliers, the information represented in the first edition of ISO 26262 did not capture the requirements or considerations that are relevant to them in comparison to the needs of OEMs and automotive Tier 1 and Tier 2 suppliers. Some semiconductor devices and IPs are developed as Safety Element out of Context (SEooC) because the end application is unknown. So assumptions about the final implementation, safety goals and automotive safety integrity level (ASIL) needs are not always clear. While design teams implementing the system can define and assess system-level safety mechanisms and diagnostic coverage, it is not so easy for SoC and IP designers/suppliers, Wong said. Many concerns from SoC and IP designers/suppliers have centered around transient failures of components, which are topics that were not well addressed in ISO 26262:2011 (First Edition). They are a crucial aspect of FMEDAs. Part 11 in Edition 2 brings enhanced information to support dependent failure analysis (DFA). In addition, appropriate handling of legacy parts developed prior to the release of ISO 26262 can be challenging, because it cannot be proven that the legacy device was designed in a safety environment mitigating the potential for systemic risks. “As a result, the only fallback position is that we can claim that we have shipped millions of these chips, and there were no known failures that would impact safety. We call this ‘proven in use,’ which provides confidence to the downstream customer that this is suitable for use in automotive applications,” he added. The process pillar specifies that any design organization needs to have a well-documented process and procedures for design, documentation, bug tracking, project management, etc. This is the foundation to avoid systemic mistakes or errors. Having a good design process also enables the design team to train new members as the team grows and is also a key component to spread the safety culture, which is part of the ISO 26262 specifications. Beyond design process, ‘product’ is the third leg of ISO 26262. This refers to product qualification, regardless of whether it is a system, an SoC or IP. Each product must go through a rigid quantitative and qualitative analysis based on safety goals, identification of potential failure mechanisms, insertion of safety features to minimize risks, and calculating the hardware FIT rates. Based on detailed and sometimes quite exhaustive collaboration with the auditor, an FMEDA is completed and the product is certified to comply with the relevant level of ASIL readiness and compliance. But there’s more to automotive designs than the system architecture, the chip design, the physical layout, the process technology and the performance of the end product. Knowing the destination does not always mean the route to get there is clear, and when it comes to applying and having the appropriate standards recognized and accounted for within an engineering team enough to begin designing in compliance, a practical approach is a good place to start. “There are architecture questions, as well. “‘Do you do this workflow? Do you make sure that you do all of your verification and validation not of just the product, but of your workflow? You may have done all of your requirements for the product, but did you verify that it’s in line with all of the checks? Did you sign everything off?’ All of that information has to be provided, because if something happens 10 years down the line and you have to do forensic analysis, how can you prove that you have fixed something if you don’t know what is failing? As part of that, there are some safety analysis issues. Do I have my single-point failure analysis and the metrics there? Do I have my parametric random failure? Diagnostics average? Those numbers have to be there. So there are several pieces of analysis from the hardware side,” Dailey said. Clearly, there are many different analysis to prove that systems are safe. But the biggest problem the industry has right now is it still looks at single components or single events and doesn’t pull the entire system together, he noted. This is where the SOTIF (ISO 21448 — Safety of the Intended Functionality) committee has devoted some of its time to really making sure that the system verification and validation is tied in. They are an annex for the STAMP/STPA process, which recently created the J3187 workgroup to create guidelines for the use of the STAMP/STPA process. Getting up to speed is no small task, he said. But with management commitment, it is possible to have a process up and running in six months in order to start managing a job. “It doesn’t mean all the work is done. It simply means we’ve analyzed the process and we create the planning documents, and there are several levels of documents that have to be created. First, you have to have plans. What is my configuration change management plan? What are my documentation requirements? There are a lot of different plans that have to be put together from the organization side. Once those are in place, then we can start working with teams and projects and get them going. And then we start working on templates, work instructions, guidelines. Then we can bring in an audit house and start to audit the processes in order to get their processes certified,” Dailey added. This is where education and a functional safety expert brings much to the table. Arm is also an active member of the ISO 26262 committee. And when it comes to the emerging ISO/PAS 21448 standard, which will play a fundamental role as the innovation in safety-critical systems accelerates, Stroud said Arm is actively involved in contributing to this developing standard as well as continually appraising how this could impact its product portfolio. Finally, a completely compliant engineering organization is likely to employ functional safety consultants, educate its own engineering team, and make sweeping changes in its processes that document every detail in order to garner a piece of the automotive pie. But it’s a lot of work and time, even if it isn’t always a surprise. Extended lifetimes and advanced-node designs are driving new approaches, but not everything is going smoothly. Changing standards, stringent requirements and a mix of expertise make this a tough market to crack. How automotive and AI are altering chip design.